The original Fantastic Four are dead, and a New Fantastic Four has taken their place! But what can the team of Iron Man, Hulk, Spider-Man and Wolverine do against a foe as powerful as Thanos---bearer of the Infinity Gauntlet? 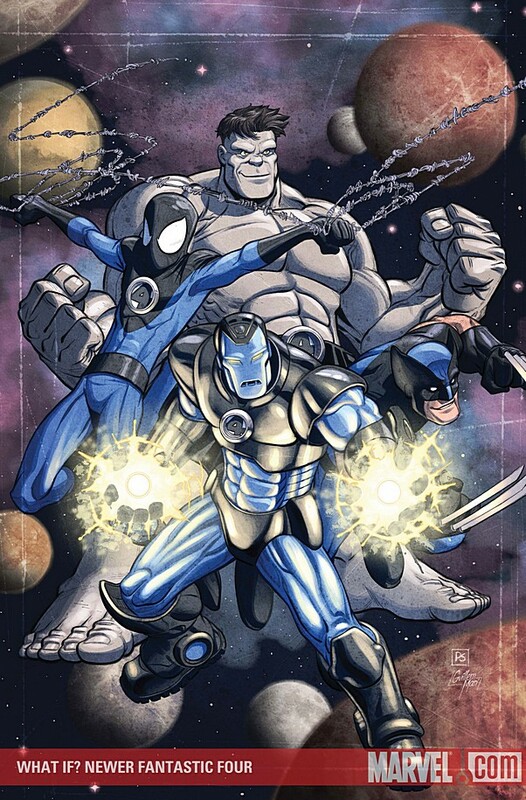 When it takes all the power of Iron Man's amazing new armor, all of Spider-Man's attitude, all the Hulk's brute strength, and all of Wolverine's underhanded tricks just to survive...what can the New Fantastic Four do to win? The answer lies within this cosmically power-packed issue! Featuring Part 2 of "What If the Runaways became the Young Avengers?"